Outrigger style flagpoles are designed for use on buildings where it is desirable to place the flagpole on the face of the building. The bracket projects the flagpole at a 30 degree angle. 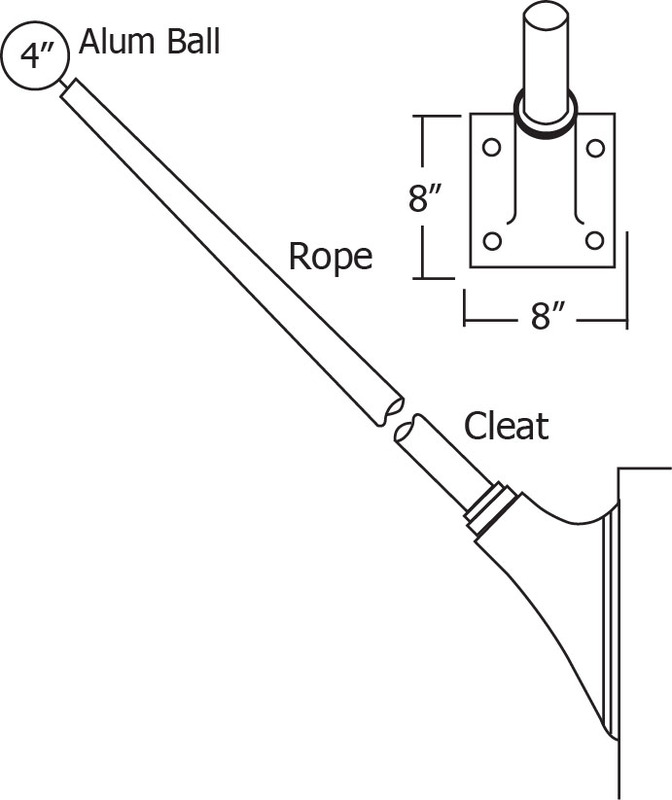 The chrome cleat is mounted 12” from the bottom of the flagpole. Mount with stainless steel anchors (not included). 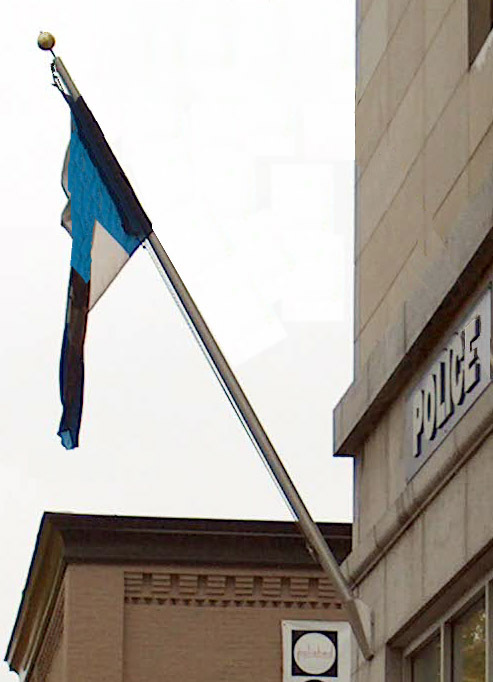 (Note: Anchor, Shoe, Shield Page), making the flagpole vertical. Standard equipment at no extra charge is our stationary ball made of 14 gauge silver anodized aluminum, optional revolving ball available ($110). The revolving trucking ball assembly is designed to rotate with the wind. External halyard (rope) system are exposed on the outside of the flagpole, these are made up of high quality aluminum pulley, white nylon cleat, superior quality ¼” diameter white polyester rope. stainless steel threaded rod with epoxy, our second choice is wedge anchors. Wood & cinder block buildings we recommend thru bolts with large washer (5” wood washers) on the inside.